Thank you for your interest in the pediatric rheumatology fellowship at the Northwestern University Feinberg School of Medicine and Ann & Robert H. Lurie Children's Hospital of Chicago. Our hospital is ranked the top children's hospital in Illinois and seventh in the country in the 2018 U.S. News & World Report survey of children's hospitals. Other clinical affiliations include Northwestern Memorial HealthCare (ranked the 13th hospital for adult care) and the Shirley Ryan AbilityLab (the top-ranked rehabilitation hospital). Northwestern University Feinberg School of Medicine ranks as one of the top research-oriented medical schools in the country. Its clinical sciences and translational research center, NUCATS, functions as an integrated hub supporting and accelerating clinical and translational science across Northwestern University (including six schools), our three nationally renowned clinical partners, our Chicago community and stakeholders, and the broad consortium of CTSA-funded institutions. Our three-year fellowship training program generally accepts one fellow every three years but can accommodate up to one new fellow per year when funding allows. The training content is in accordance with the guidelines created by the ACGME’s Residency Review Committee for Pediatrics. The first year of fellowship is weighted toward clinical training; in the second and third years, the majority of time is spent working on research projects. As a pediatric rheumatology fellowship training program, we aim to provide superior education for our trainees and guidance from outstanding mentors. Keeping with our belief that quality education is inseparable from our quality patient care, the partnership between the Feinberg School of Medicine and Lurie Children’s affords many opportunities for residents to further their education in a pediatric specialty. Our fellowship program’s research component offers the opportunity for fellows to design and conduct a substantive research or scholarly project of their own as well as participate in the division’s overall research and QI initiatives. From this, our fellows have successfully published as well as formulated plans for ongoing research and scholarship post fellowship. Fellows are encouraged to seek out mentorship, form relationships and to work in an interdisciplinary manner with physicians and scientists across the larger Northwestern/McGaw community, including not only those in our division and the Department of Pediatrics but also in adult rheumatology in the Department of Medicine (including the opportunity to participate in their NIH T32 training grant), the Department of Medical Social Sciences, the Stanley Manne Children’s Research Institute and the Northwestern University Clinical and Translational Sciences Institute. The T32, in particular, offers mentorship and financial support for trainees. Fellows also have the opportunity through the university to pursue specific coursework useful to developing their research skills and, if desired, a master of sciences. The division also participates in national multicenter research coordinated through the Pediatric Rheumatology Collaborative Study Group and the Childhood Arthritis and Rheumatology Research Alliance. The fellowship clinical experience will encompass both the inpatient and outpatient experience. Our division’s attending physicians supervise a resident-run inpatient service at Lurie Children’s and each follow a large panel of outpatients. Outpatient visits to our clinics number over 6,000 per year. 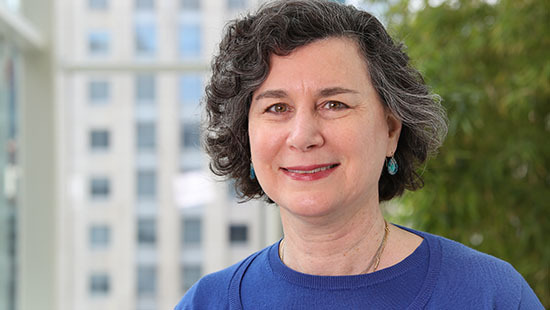 In the recent academic year, faculty saw over 1,000 new outpatients at Lurie Children’s and its suburban outreach clinics, in addition to managing the care of over 100 inpatients. Our physicians care for patients with a variety of diagnoses, including juvenile idiopathic arthritis, systemic lupus erythematosus, juvenile dermatomyositis, autoinflammatory syndromes, scleroderma and various vasculitides. One of our physicians is certified in ultrasonography and teaches on a national platform. The division utilizes a team approach to patient care. Members of the team include six skilled nurses and a pediatric nurse practitioner. Our team also includes professionals in social work, physical and occupational therapy and orthotics. Fellowship applicants must complete an ACGME-approved residency in pediatrics from a U.S.-based institution before entering our program. Our program participates in the fall specialties match of the National Resident Matching Program. Applications should be sent through the Electronic Residency Application Service (ERAS). Interested applicants may also enquire about how to apply outside of the match, if we have any unfilled positions, by contacting our division directly.